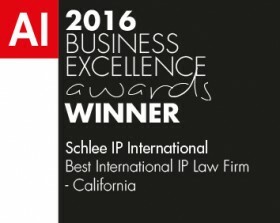 Ownership Transfer of European Patents and European Patent Applications - Schlee IP International, P.C. What are assignments of issued European Patents? An assignment of a European Patent is the act of transferring ownership of the issued European Patent from the assignor to the assignee. Often, the assignment document is simply referred to as the “assignment”. The two parties can be individuals or legal entities. Issued European Patents always need to be assigned on a country by country basis complying with the various national assignment requirements where the European Patent takes effect (is validated) in the respective contracting countries of the European Patent Convention (EPC). In addition, while the European Patent is still within the 9-month opposition term or an opposition is pending, the European Patent Office records assignments for the purpose of the opposition upon request, payment of the fee, and submission of a validly executed assignment document. What are assignments of pending European Patent Applications? In contrast to assignments of issued European Patents requiring recordation of the assignment on a country by country basis, the assignment of pending European Patent Applications is recorded centrally at the European Patent Office (EPO) upon request, payment of the fee, and submission of a validly executed assignment document. Is the recordation of assignment of a partial ownership interests possible at the EPO? Yes, it is for instance possible to add or remove a co-owner or co-applicant. Unless expressly specified otherwise in the assignment document, equal shares are assumed between the co-owner and co-applicant, often also called joint owners or joint applicants. Although not recordable at the EPO, certain partial rights can be assignable separately and independently from the underlying IP right, for instance the priority right that if properly claimed can determine the time rank of a later filed patent application. What is required for valid assignments of issued European Patents? National laws, rules and formalities apply for recordation of country by country assignments by a variety of national recording authorities such as national Patent Offices. When looking at a bigger patent family in what EPC countries the European Patent is validated and takes effect, a one fits all assignment fulfilling this wide variety of requirements is virtually impossible. Typically, national representatives should be retained for complying with this variety of requirements. If possible, European Patent Applications should be assigned at the EPO while still pending for avoiding the hassle of dealing with such wide variety of national requirements. What are typical national form requirements for assignments of issued European Patents? Assignments typically need to be made in writing and typically require the signatures of both the assignor and the assignee. In case of a legal entity, the signatory needs to be entitled to sign on behalf of that legal entity, typically an officer of the legal entity, or needs to have received the signatory authorization from such officer. Although in some countries the signature of the assignor only may suffice, more commonly, the signatures of both parties are required. It is good practice to assume that both signatures are required everywhere. The signatures are typically required in ink. As an alternative to filing the original with the signatures in ink, an increasing number of authorities have waived the requirement to file the original but accept copies, or when filed electronically, scans of the assignment document signed in ink. If not filed, the original should be kept in a safe place. Some countries may require notarization and maybe even require some form of legalization, e.g. “Apostille”, for effectively recording an assignment. What assignment document content is typically required for assignments of issued European Patents? In most countries, the assignment document just identifies the right that is assigned and the parties, but some countries require a specific text using specific language. From a practical standpoint, a good way of looking at assignments from a formal point of view is to treat these like a contract, although the assignment may have comparatively little content in comparison to other types of contracts. A few authorities may require the use of a specific form. What are the form requirements for assignments of pending European Patent Applications? Article 72 EPC in conjunction with Rule 22 EPC governs assignments at the EPO, see http://www.epo.org/law-practice/legal-texts/html/epc/2016/e/ar72.html in conjunction with http://www.epo.org/law-practice/legal-texts/html/epc/2016/e/r22.html. Further details fleshing out the meaning of Article 72 EPC and Rule 22 EPC can be found in the Guidelines for Examination in the EPO, Part E, Chapter XIII, downloadable as PDF documents at: http://www.epo.org/law-practice/legal-texts/guidelines.html. As of November 1, 2016, the Guidelines expressly clarify that “Article 72 requires that the signatures of the parties appear on the document submitted as evidence of the transfer”. As an alternative to filing the original assignment document with the signatures in ink, submitting copies or when filed electronically scans of the signed assignment form is admissible. If not filed, the original should be kept in a safe place. No specific assignment form is required. The assignment is just a very short document identifying the right that is assigned and the parties, the signatories and if applicable their job titles or other sources of signatory authorization. If only a specific percentage of ownership is assigned, this percentage also needs to be identified in the assignment. For pending European Patent Applications or for issued European Patents for the purpose of opposition proceedings, under Article 60 (3) EPC only the recorded assignee = applicant can exercise the right to a European Patent, see http://www.epo.org/law-practice/legal-texts/html/epc/2016/e/ar60.html, ruling that “(3) In proceedings before the European Patent Office, the applicant shall be deemed to be entitled to exercise the right to a European patent.” For issued European Patents, on a country by country basis, the failure to properly assign and record may also result in enforceability delays of the assigned IP right by the assignee until recordation has been finalized. Also, a proper assignment is required for validly claiming priority rights. What are the most common assignment deficiencies? Although the assignment document has only limited content a variety of deficiencies may occur. Just to mention a few: The assignor may not be the owner of the assigned IP right at the date of assignment; the incorrect IP right is assigned; at least one of the signatories lacks signatory authorization; a required language or form is not used; certain assignment document form requirements are missed, formalities such as signatures in ink, notarization or legalization are missed; some recordation form requirements such as request and recordation fee payment are missed; the signature by one party such as the assignee is missed; the parties are not properly defined to be clearly identifiable, for instance due to incorrect name and/or address; or the date of the assignment is too late for taking certain legal effects. 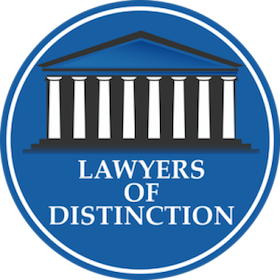 What are the legal consequences of a deficient assignment? Although it may be possible to overcome some consequences by correcting deficiencies without losing the initial assignment date, or time permitting simply by executing and recording a new assignment, in some cases these remedial measures may come too late. For example, for validly claiming priority rights, the priority right needs to be actually owned by the applicant of the later application within the priority time period. The risk with assignments is that some deficiencies may not be noticed until it is too late to fix the problem. For this reason, assignment formalities should be observed scrupulously.